Bring a smile to a loved one’s face with these ‘don’t know what to give’ gifts. 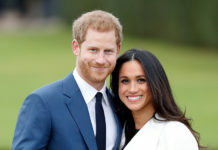 With a Frith Gift Voucher Box the lucky recipient can choose a very personal gift for themselves, one that they’ll treasure for years to come. This stylish, contemporary illustrated address book is beautifully printed. 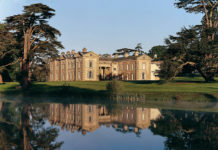 It is lavishly illustrated with over 150 period photographs, some printed full-page, others as vignettes, of town and country life; some are printed with colour details, and others are sepia or black and white. 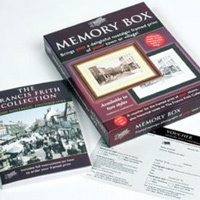 The Framed Print gift voucher box contains a 128-page book listing 12,000 Frith town and village photographs and a Voucher for a framed print (retail price £34). 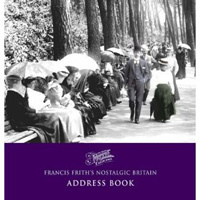 The recipient simply chooses a photograph from the 12,000 photographs listed in the book, or 80,000 if they browse the Frith web site, then returns the completed voucher in the reply-paid envelope. 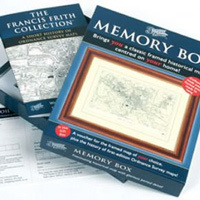 The framed map gift voucher box contains a fascinating booklet on the history of Ordnance Survey first-edition maps and a Voucher for a framed reproduction of an historical Ordnance Survey map – centred on any postcode of the recipient’s choice.